On-site amenities include the Gallery Shop and WAG Studio. 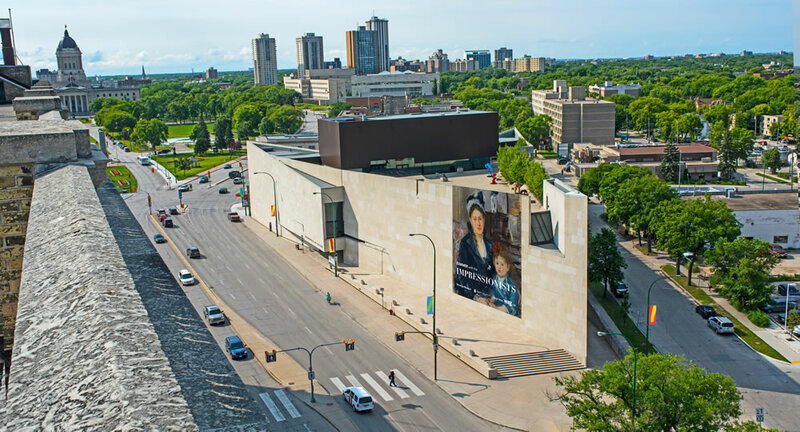 Find lots of restaurants and coffee shops close to the Gallery on Portage Avenue, Graham Avenue, and beyond. Costs for street parking apply Monday to Saturday, 8am-5:30pm. Payment isn't required on Sundays and holidays. The Winnipeg Parking Authority offers 2-hour complimentary downtown parking on Saturdays anytime, 8am-5:30pm. Not a WAG member? Now is the perfect time to sign up or renew! Not only will you see the Impressionists for FREE, you'll receive fantastic perks and discounts. For more information, contact Elizabeth at membership@wag.ca. Enjoy the Impressionist audio guide (English & French), maps, and more. Download the FREE app before your visit. Learn more here. To book a tour visit wag.ca. Groups of 15 visitors and more receive 20% off admission. Groups of 30 and more receive a 30% discount. One tour guide is required for every 15 people at $50 per guide. To book, fill out the online form.